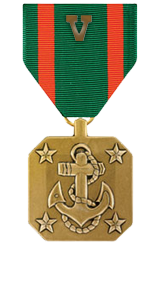 Heroic achievement in the superior performance of his duties while serving as fire team leader, 3d Squad, 3d Platoon, Company L, 3d Battalion, 3d Marines, Regimental Combat Team-7, I Marine Expeditionary Force, from March to August 2006, in support of Operation IRAQI FREEDOM. Lance Corporal Keliipaakaua exemplified the true meaning of the fighter-leader concept as he relentlessly led the Marines under his charge in 250 combat patrols and 10 combat actions against Anti-Iraqi Forces in Barwanah, Iraq. His fearless performance under fire during an enemy ambush on 15 April 2006, combined with his ability to make sound and timely decisions in the face of danger, not only kept marines alive but foiled an insurgent attack. Despite serving in a billet above his rank and experience level, he clearly outperformed marines of higher grades. He proved to be a valuable asset not only to his platoon, but to the entire company. Lance Corporal Keliipaakaua’s initiative, perseverance, and total dedication to duty reflected credit upon him and were in keeping with the highest traditions of the Marine Corps and the United States Naval Service.